A coming-of-age love story set in World War II Berlin. 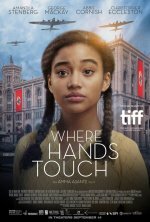 Where Hands Touch release date was Friday, September 14, 2018. This was a Limited in theaters release.